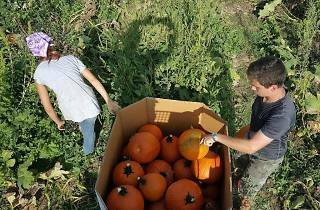 Through October, during weekends, Country Barn offers a variety of pumpkins—both in size and color. 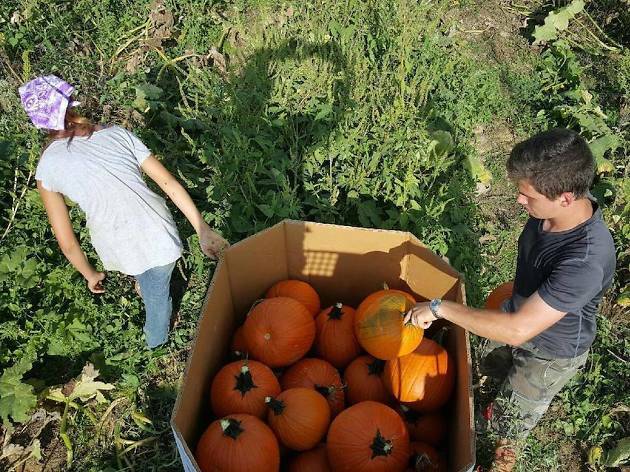 Among them: Peanut Pumpkins, Jack-B-Littles and several types of gourds—not to mention, it’s your best bet for finding a green pumpkin, should that be your preference. Kids entertainment comes in the form of Barnyard Kingdom, an $11 admission that includes access to a five-acre corn maze, a pig show and petting zoo.